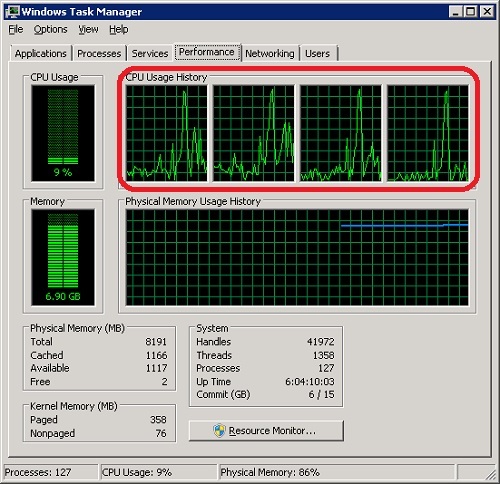 How can I tell the number of CPUs or logical processors on my Windows Server 2008? 2. Click on the "Performance" tab. You will see CPU and memory usage information displayed. 3. Count the number windows in CPU Usage History. If you see 4 windows, then there are 4 logical processors running.